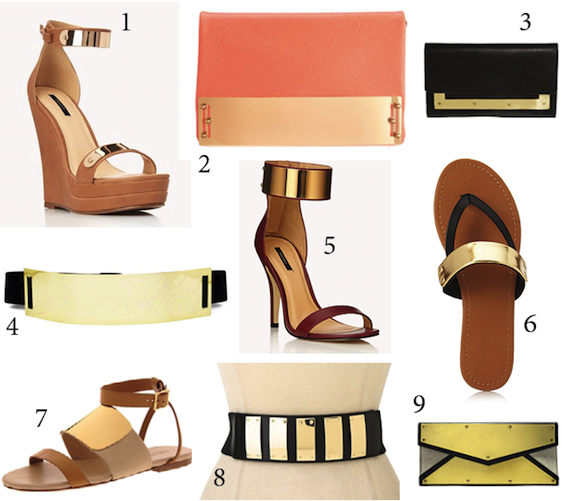 Something that I've seen popping up a lot lately are gold-plated accessories, like jewlery, handbags, shoes and belts. The little touch of shiny gold adds an interesting and luxe feel to your basics and you can mix and match them with tons of different outfits. 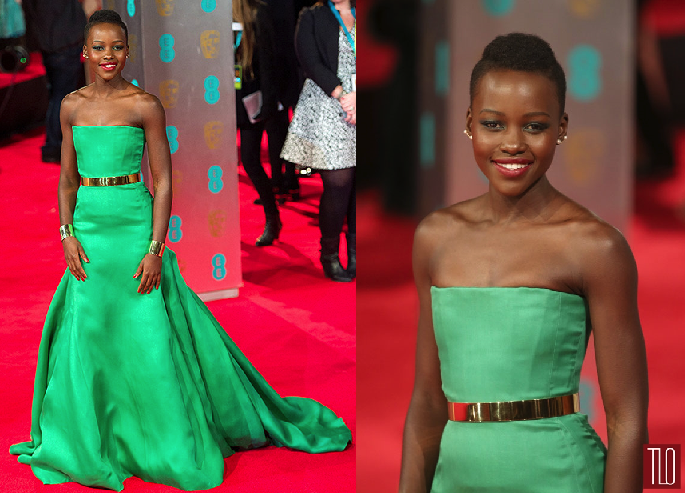 Lupita Nyong'o rocked a gold-plated belt over her emerald green Dior Couture gown at the BAFTA Awards in February. One celebrity who has been rocking the gold plated belt long before it became a trend is Kim Kardashian. She wears them everywhere from red carpet events to the airport and knows just how versatile this simple accessory can be. Check out the affordable gold-plated accessories below. The wedges are my favorite! 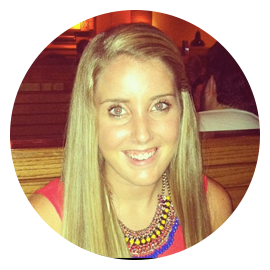 Are you loving this new trend? Do you have any gold-plated accessories?